I read this article and found it very interesting, thought it might be something for you. 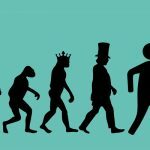 The article is called Post-Capitalist Entrepreneurship: Basic Income, Blockchain Cities, and Local Currencies and is located at https://evonomics.com/post-capitalism-entrepreneurship/. To date, however, there has been insufficient discussion about the role of entrepreneurship in a postcapitalist economy. 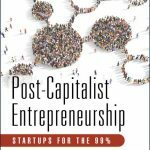 While it may seem like an oxymoron to discuss entrepreneurship in a postcapitalist economy, I argue that is only because we have a narrow view of what entrepreneurship is. 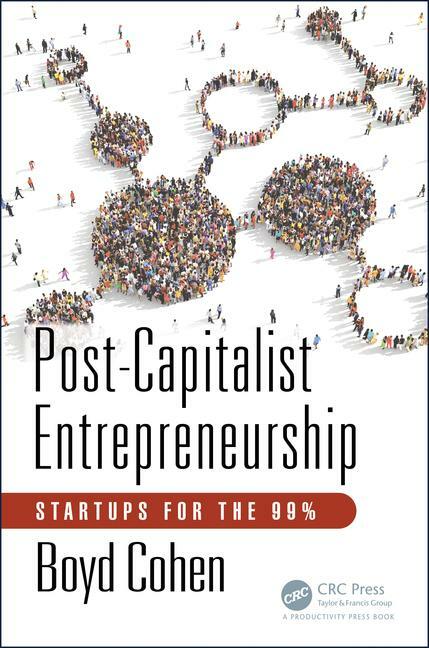 In Post-Capitalist Entrepreneurship (PCE) I highlight several emergent entrepreneurial forms including commons-based peer production, platform cooperatives, alternative currencies and initial coin offerings (ICOs) and blockchain-enabled distributed autonomous organizations among others. In order for PCE to thrive at a local level, we will need local governments to create the enabling conditions. Local governments will need to rethink economic development policy, welfare policy, and citizen engagement strategies. I believe we will see cities increasingly shift away from entrepreneurship policies focused on encouraging job creation and tax revenues toward encouraging civic and PCE focused more on supporting higher velocity local transactions within the community. Key members of the Fab Lab community recognize the real power of the Fab Lab model as a more holistic resource for local productive systems that has ignited a new movement within the Fab Labs community: Fab Cities. The audacious goal of cities who sign up to be part of the Fab Cities movement is to produce at least 50% of everything consumed in the city within the city by 2054, reducing dependence on importing products from foreign lands. Sixteen cities have signed up for this commitment, including Amsterdam, Barcelona, Boston, Detroit, Santiago, and Shenzhen. Aside from potentially ushering in a wave of circular cities capable of virtually eliminating waste, fab cities could provide alternatives to disappearing employment opportunities in traditional industries. Furthermore, the vision for Fab cities goes beyond what can be printed in a fab lab but instead, turns our attention to local production of everything consumed in a city including food and energy. 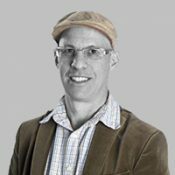 Basic income in some form will almost certainly be part of national policy in dozens if not all countries in the future. But also, I believe local governments may become active developers of basic income programs. In the United States, devolution of national powers to state and local powers has been a topic since Ronald Reagan’s time in the Oval Office. For many reasons, there is a growing focus on local governments and their ability to solve complex problems such as climate change and inequality. While some basic income regulations have been explored at a national level (e.g., the 2015 referendum in Switzerland), the numerous basic income experiments are mostly happening at a local level. The 2-year minimum income experiment starting in October in Barcelona suggests one direction for such a local model to basic income. In the Barcelona experiment, 1,000 low-income families will be given a fixed income over a 24-month period. Some recipients will receive the income unconditionally while others will have conditions, such as going through worker-retraining programs, in an effort to see how basic-income recipients behave under different program designs. But perhaps one of the most interesting components to the experiment in Barcelona is the development of a local digital, social currency which will represent a portion of the basic income payments for between 250 and 500 families. One of the ways we may be able to address a national government’s perceived inability to finance a UBI program is to have some of the payments be made via local digital currency. Instead of paying US$1,000 per month to every citizen over the age of 18 at a federal level (the proposal by Andy Stern in Raising the Floor), perhaps $600 is paid from the national government and $400 is paid in alternative local currencies managed by city governments. Interestingly, in the Barcelona experiment, the city aims to put conditions on the local currency including the requirement to apply some or all of the local currency toward the creation of self-employment or social enterprise, and to work with local retailers and small businesses to accept the currency for items related to allowing the recipients to become self-employed. Alternative currencies can be a source of stimulation of PCE, and of course the local nature of the currencies in many cases suggests that local currencies could form part of a transition toward a post-capitalist economy at a local level. Alternative currencies, not just digital currencies, but also timebanks, for example, facilitate a high velocity of transactions between local citizens and local producers. Local currencies, as is the case in the Barcelona experiment, could even be used as part of a universal basic income (UBI) or guaranteed minimum income (GMI). We are in the very early days of what blockchain can mean for cities. Obviously, the smart cities movement with a strong focus on the Internet of Things (IoTs), big and open data, and sensor technology will likely benefit from the growth of blockchain solutions. But perhaps more interesting is to reflect on how blockchain could be used to support social inclusion and a post-capitalist economy. Aside from its potentially transformative potential in local cryptocurrencies, blockchain may also support many other important changes to life and government in cities. The blockchain may support alternative forms of sharing economy that challenge platform capitalism. Take Arcade City as an example. Arcade City is a blockchain-enabled (with ethereum) organization aimed at taking on Uber first, and other platform capitalists later. It is a peer-to-peer app, founded in Austin, Texas, in 2016, which aids people seeking a ride with drivers of passenger vehicles. Unlike in Uber’s model, Arcadian drivers are able to charge their own fees and process transactions directly with their passengers. Since its launch, rides have been facilitated in other cities in the United States, Europe, and Africa. Arcade City has launched their own initial coin offering in 2016, to create Arcade Tokens which can be used for payments with the app. accessible to adult residents, and significant amount of civic crowdfunded projects. What I am certain of is that new forms of commons-based, open entrepreneurship, enabled by technology, and grounded in interconnected local communities is here to stay and will transform our cities and our lives.